I walked up shocked, Shawn started playing his guitar. Taylor started singing my second favorite song. 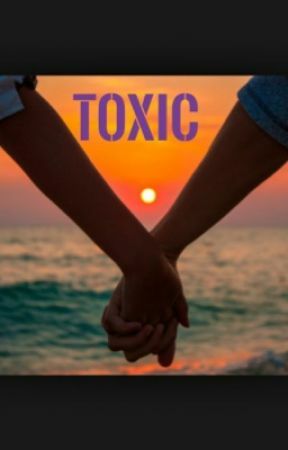 Toxic- Brittany Spears it&apos;s a old song, but I love it. When the song was over Taylor got on his knees, I was already crying but I started crying harder. Taylor pulled out a small box out of his pocket, he opened it. "Its a promise ring, a promise that we will stay together &apos;till the end." Taylor said. It was a beautiful ring, he placed it on my ring finger. I looked at Jack J as Taylor was placing the ring on my finger. Jack looked down, a tear fell from his eye. I was mad at Jasmine, yes because she didn&apos;t care about my eye last night she ran away, then when she came back she didn&apos;t even ask about my eye. I want to be Taylor right now, putting that ring on her finger. The crowd had different emotions. There were some happy people, angry people, jealous people, sad people, and some people thought it was sweet. I looked over at Emma which was still in the crowd, she clapped and screamed really loud, I rolled my eyes and giggled. Jasmine is so lucky, she just got &apos;married&apos; to the Taylor Caniff. I hope Jas never finds out what happened yesterday. Nash teased to tell her but I hope she doesn&apos;t. I don&apos;t want a little thing like that to ruin our friendship.